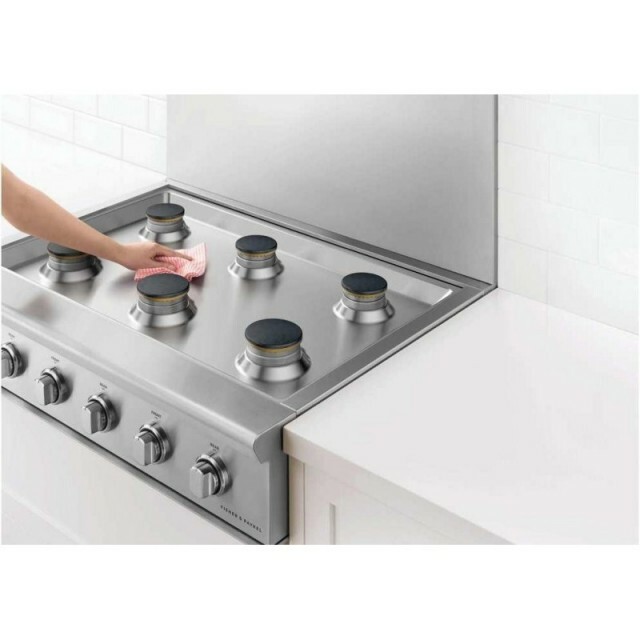 Fisher and Paykel offers a 36" Professional Cooktop with 6 Sealed Dual Flow Burners to satisfy your cooking demands. The unit features a Continous Surface Grates, Halo-Illuminated Dials, and Easy to Clean. Perfect HeatSealed Dual Flow Burners™ power up for seriously fast boiling right down to a precise 140°F full surface simmer with the gentlest of flames. Precise ControlFrom the highest to the lowest temperatures you get total control with halo-illuminated cooktop dials. A precise full surface simmer is delivered across all burners. Easy CleaningThese cooktops have sealed burners and a single sheet cooking surface which, combined with a commercial-style stainless steel finish and dishwasher-safe grates, allow easy cleaning. Information at a GlanceLED halo control dials provide information at a glance and assist in alerting you if any burners are accidentally left on. 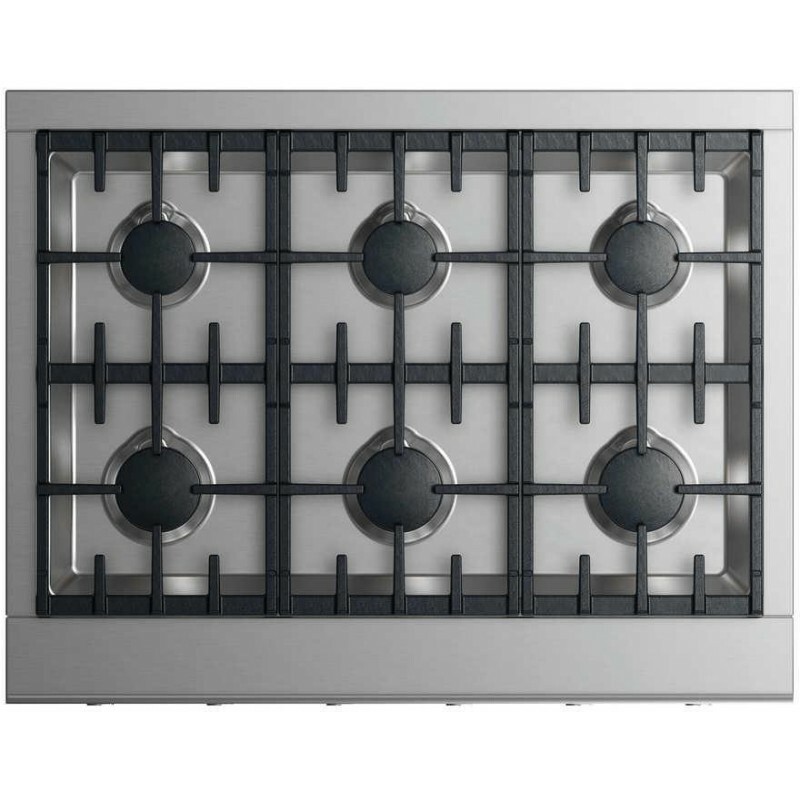 Cooking FlexibilityThe continuous surface grates are designed for pots and pans to move safely across the cooktop. Heavyweight stainless steel griddles can be set to desired temperatures and then maintained evenly across the entire griddle surface. Designed to MatchBuilt to last with distinctive, bold styling, this cooktop is designed to match the Fisher & Paykel Professional style family of appliances. Fantastic Stove This is the most impressive gas stove I have ever used! I would recommend this gas stove to anyone who loves to cook. No problems ever and we have had our stove for 15 years!